This is very good advice to share with prospective home sellers. Good morning, Amanda - "intimidating' is an appropriate word to use in describing the situation of some first time home sellers. Your tips are quite helpful. These are great tips and if sellers follow them, the transaction will go as smoothly as possible! Very well stated and simple for new sellers to understand. Thank you for sharing. Good morning Amanda - this is good advice. I certainly wish we had done this when we were first time sellers. 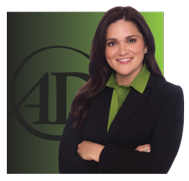 Hello Amanda S. Davidson, Great information for sellers to hear from a pro like you. Thanks. Such good advice Amanda to all First-Time home Sellers. Being prepared before listing their home will make for a much less stressful experience! Hi Amanda S. Davidson - You have the number one thing at the top of your list. If a first time seller picks the Amanda Davidson Team out of Alexandria Virginia, they just hit a home run. Why? You will guide them on their quest to sell their home for the best possible outcome. It is a guarantee! These are some great tips for sellers Amanda. I especially liked your idea of putting on the buyer eyes. Being honest with yourself about your property enables you to take the emotion out of it and concentrate on the things that are going to lead to a quick sale. As always, Amanda, a well written post with lots of "meat" in terms of information for the reader. Hi Amanda S. Davidson, these are all great tips for home sellers, especially for first time home sellers. The most important one is to hire the right agent and the rest will be much easier. We forget...though we were just reminded yesterday...all the things that come to light with this experience. The pre-listing inspection is a market I have tried to crack for well over a decade. Few take the plunge. I think they are simply waiting on a list from their home inspection after they sell the house. Interestingly, a couple of times I have found a big deal (with my thermal camera) which they wanted to take care of before listing the house. Then there was the time when the people wanting to list their house were sick and not knowing why until I found a huge hole in the furnace vent tubing. That may have saved their lives! Great advice, Amanda. I plan to have a pre-listing inspection on my house... just makes since. Have a great day and a very special weekend. Thank for post and good tips. I would say the single most important one is to always hire a realtor - their value can not be understated. Amanda, this is so thorough! One of the things that comes up often before an inspection is making sure the crawl space can be accessed. It often falls on me as the Realtor to try to figure it out when I'm with the home inspector at the scene, which can be time consuming and frustrating! I always attend my home inspections and see this periodically. Maybe even a good thing to go over at the first walk-through with your sellers so that you know WHERE IT IS (sometimes deftly hidden) and letting them know that it needs to be readily accessible. Narrowing this down to eight it’s pretty good! Really nice job! You know your stuff! I wish every seller could see his or her home through the eyes of a buyer. I had one fella whose home was flat-out dirty, but he just could not see it. Hi Amanda, thanks for sharing your tips for first time home sellers. Your blog was right on the nose for sellers. Amanda, this is s great article. I especially love the advice about “putting on buyers eyes”. Sometimes we get so used to looking at and living in our home we miss the obvious things we can fix! Preparing to List your House for Sale ... the most important word is "Preparing". Thank you for this well written blog ... sure to help the first time or even very experienced Seller, Each tip is so valuable! Great info packed into 1 nice post. Thanks for sharing! HAHA "no one pays top dollar for stale bread!" What another great list of tips - this time for sellers - reblogging with gratitude Amanda S. Davidson. You're really nailing these! M.C. Dwyer Feel free to use that anytime, for some reason, it seems to really make sense to my clients! I'm honored you feel this post is worthy of a re-blog. That's always such a big compliment. Thank you!